Today is May 1, 2013, It is Safety First Day of the Month!!! For the Month of May – Safety First Day of the Month – we bring you a video featuring Fire Chief Marc S. Bashoor speaking to a congregation at the First Baptist Church of Glenarden. Click here to listen to this emotional message. Additionally, today is the day you should test your smoke alarm to ensure it is working. Push the test button on the cover of your alarm. If your alarm emits a warning signal, congratulations, you have a working smoke alarm and you are done – consider asking your neighbors if they checked their alarm today!!! Place a new and fresh battery into your alarm and re-test. Replace your smoke alarm today!!! Smoke alarms have a lifespan of about 8 to 10 years. Consider replacing your old alarm with a new smoke alarm that has a 10-year lithium battery!!! If you have a carbon monoxide detector - test that device also. Our Neighbor Helping Neighbor program asks that after you have tested your alarm that you got to your neighbors house and ask if they checked their alarm today - you could be saving the life of every person that resides in that house!!! 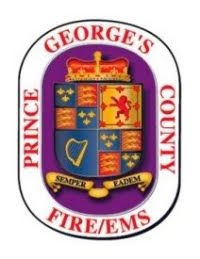 If any residents needs a smoke alarm or CO detector we encourage you to cal 301-864-SAFE (7233) and make arrangements for a firefighter to visit your home and install these life-saving devices, FREE OF CHARGE!!! Arson Awareness Week starts on May 5!!! !